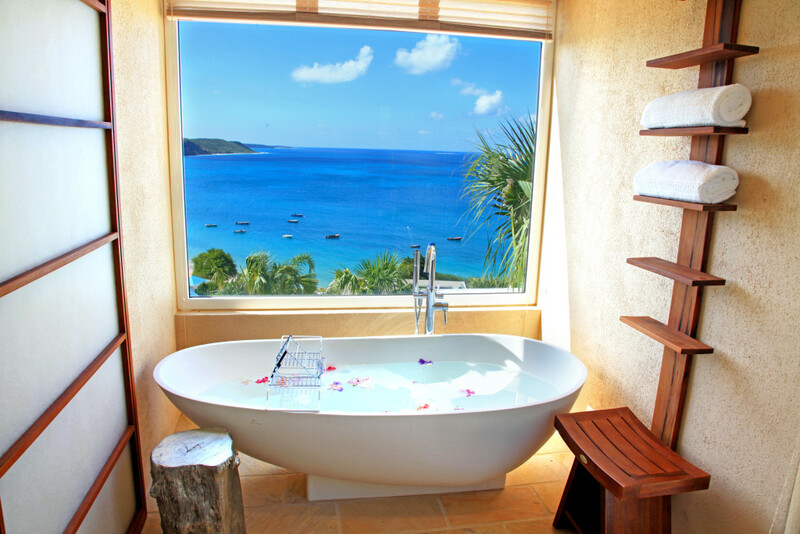 CéBlue Villas & Beach Resort – Anguilla – Sometimes even luxury travel can feel a little constrained. Upscale holidaymakers certainly deserve an exclusive location, exceptional style and décor and unparalleled service and amenities but many of today’s select “private hideaways” leave guests longing for a bit more. Not so at Anguilla’s luxury offering, CéBlue Villas & Beach Resort. Privacy is paramount at this 5 star resort, but getting away from the world you left behind shouldn’t necessarily mean one has to forego all the fun! With its dramatic hillside location overlooking the pristine white beaches and turquoise waters of Crocus Bay, this incomparable eight-villa retreat offers a “hybrid-luxury experience” for a maximum of just 75 guests. CéBlue seamlessly melds the demands of elite travelers for privacy and sophistication with opportunities for entertainment and social engagement on one of the Caribbean’s most beautiful islands.